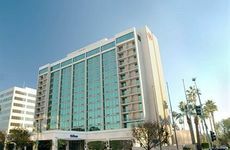 Find Hilton Pasadena deals, discounts and special offers. Pet-friendly, non-smoking Hilton in Pasadena is a boutique hotel with newly-renovated fitness center, & outdoor pool. The Langham in Pasadena features 380 guestrooms and suites--including cottages, full-service spa and fitness center. The Westin Pasadena features a state-of-the-art fitness center, outdoor heated rooftop pool with beautiful views. Located within walking distance of Old Town shopping, dining, and entertainment. Located in the center of the city, the hotel offers a convenient location to the Paseo Colorado outdoor shopping plaza.